This lovely condo is set in a quiet neighborhood in Sidney. Found on a charming street just one block away from the OCEAN!! It overlooks a lovely tree-lined view, and radiates with a peaceful energy and a calm atmosphere. It’s an incredibly bright and well-maintained suite with so much to offer!! 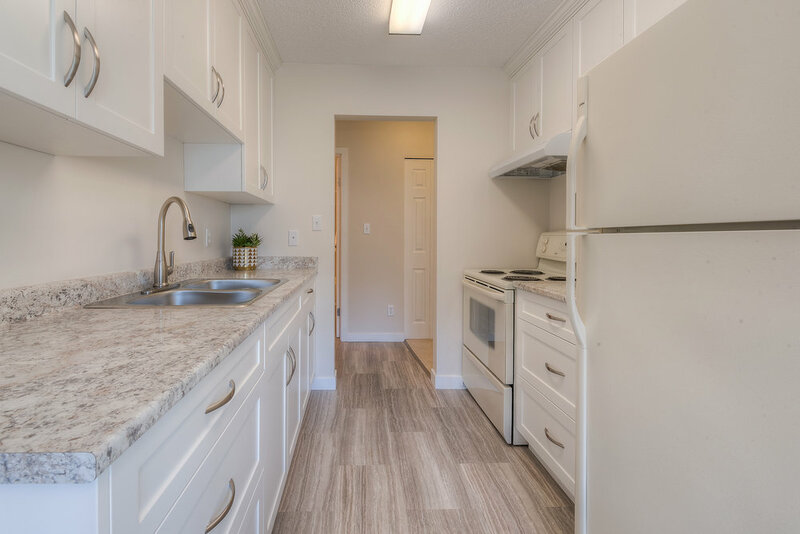 The kitchen has recently been beautifully renovated with white shaker style soft close cabinets, large counters, and a modern color scheme. The light bounces off the light colored walls and adds to the happy feel of the entire suite. Beside the kitchen is the large dining room. Just imagine setting your table in front of the large window and enjoying the beautiful view and stunning light as the backdrop for your dinner parties! 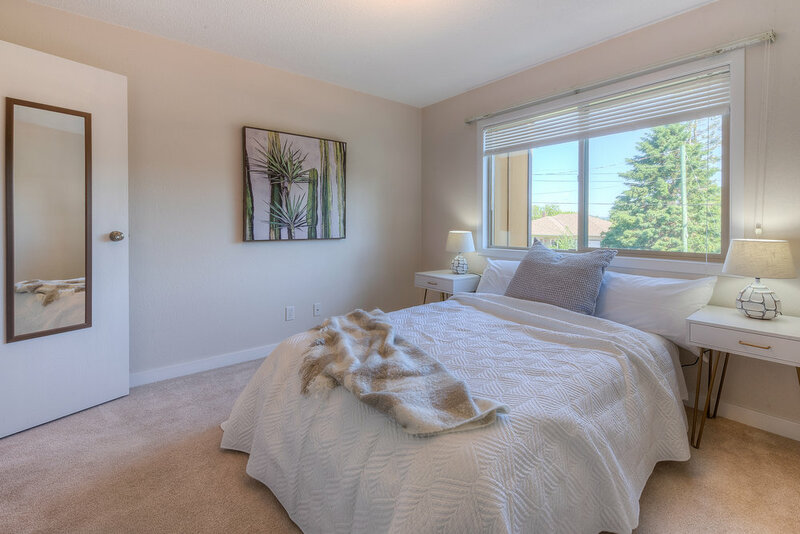 The spacious bedroom comes with a HUGE walk-in closet!! And there is plenty of in-suite storage throughout. Best of all is the large patio. It overlooks the well-maintained front yard and quiet residential street. It’s such a lovely spot to sit and relax on a warm sunny day!! You get to enjoy the benefits of an updated look while the roominess of a mature building is maintained. The building was remediated in 2008 with cement fibre siding, new windows, doors, and handrails. There are no age restrictions and pets are allowed! One parking space is included and laundry is right across the hall. Robert’s Bay is just one block away, and just a few extra blocks away, within walking distance, is the bustling Downtown Sidney strip filled with unique and interesting shops, historical bookstores, and delicious dining. Located on the waterfront beside the Port Sidney Marina is the Shaw Centre for the Salish Sea, an amazing education center to bring your grandchildren to for an afternoon. This darling condo is the definition of Sidney by the Sea living without the high price tag! !